pero por sea... we wouldn't want Tio Sam aka FCC mad at BB, would we? And this post, it's all Babushka, all over the place. After 2+ months in Miami, BB tries to summarize the many blessings encountered. Of course I can't do it all justice, and without pics,notes,brochures, the memory isn't coming up with todo, so before BB forgets, let's start with the last week. Quee?? JUSOFONII Ok si, Babushka does usually go backwards and against the norm doesn't she?? Pero you know what? That's what Oprah says makes us special, being true to ourselves. And I heard that straight from her. Oh Si BB did!!! 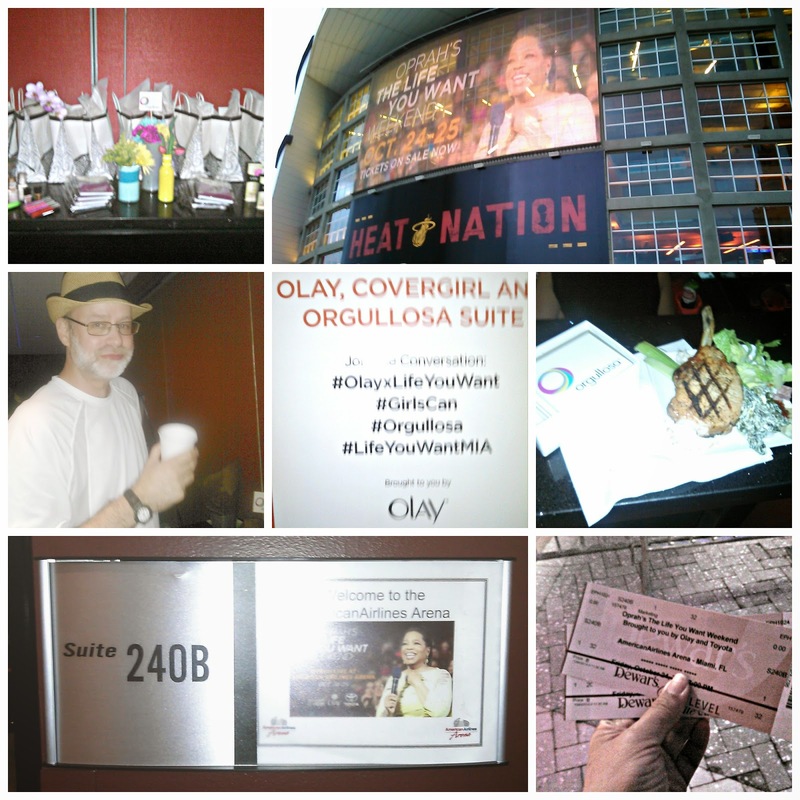 Gracias to the wonderful world of Orgullosa, the P&G division for Latinas, Babushka was able to attend Oprah's "The Life You Want " event in Miami. On to OTown BB went. 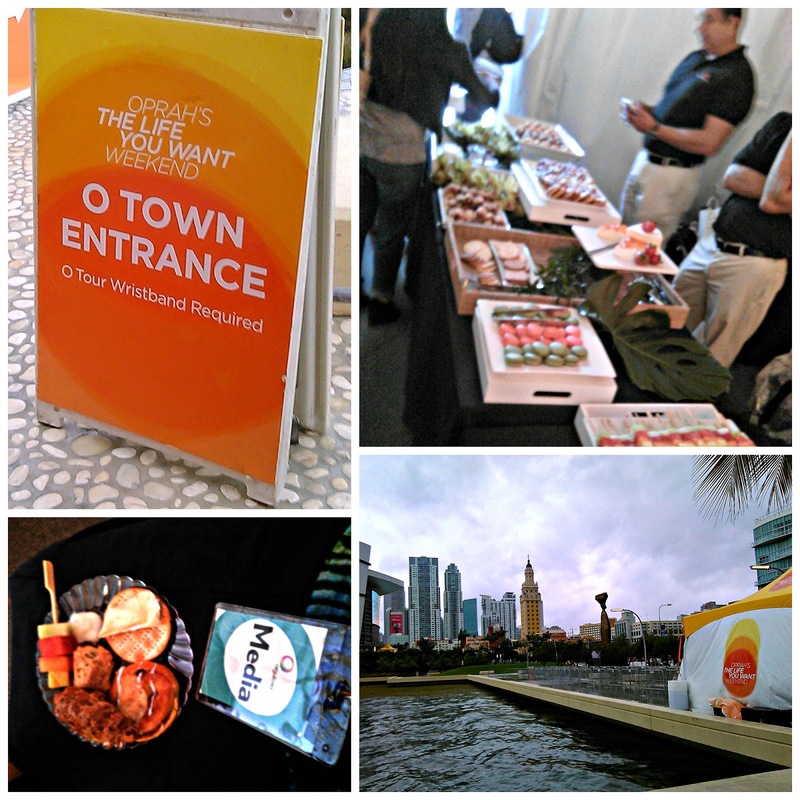 With sombrilla in hand and bus pass ready, Sweetie & BB were set to experience the world of O.
OTown in Miami was next to the American Airlines Arena in downtown Miami. You can see my beloved Freedom Tower in the last pic. here's a snippet of the Media Alert. "COVERGIRL, PROCTER AND GAMBLE’S ORGULLOSA AND PUBLIX HOST A POWER MEET-UP IN MIAMI TO KICK-OFF THE OPENING OF "OPRAH’S "THE LIFE YOU WANT" WEEKEND"
*WHAT: COVERGIRL and Orgullosa *will host a unique Power Meet-up breakfast for media and Miami influencers to officially kick-off the opening of Oprah The Life You Want Weekend O-Town experience. The exclusive one-hour networking event will start at *9AM on Friday, October 24 at Museum Park* and include a celebrity panel who will provide tips on how women can embrace life, uninhabited by chaos. Buenisimo right? Pero wait- it gets better. 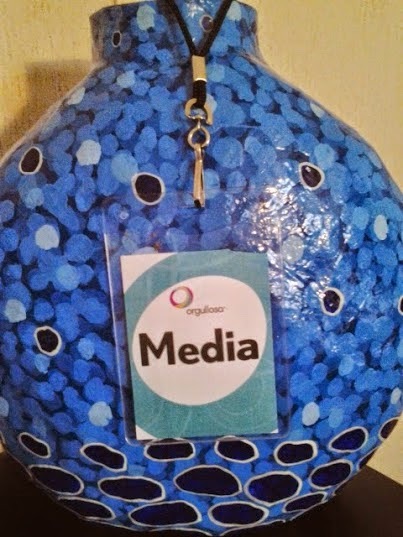 *WHO: Special celebrity guests will participate in the Power Meet-up panel and be on hand for press interviews. 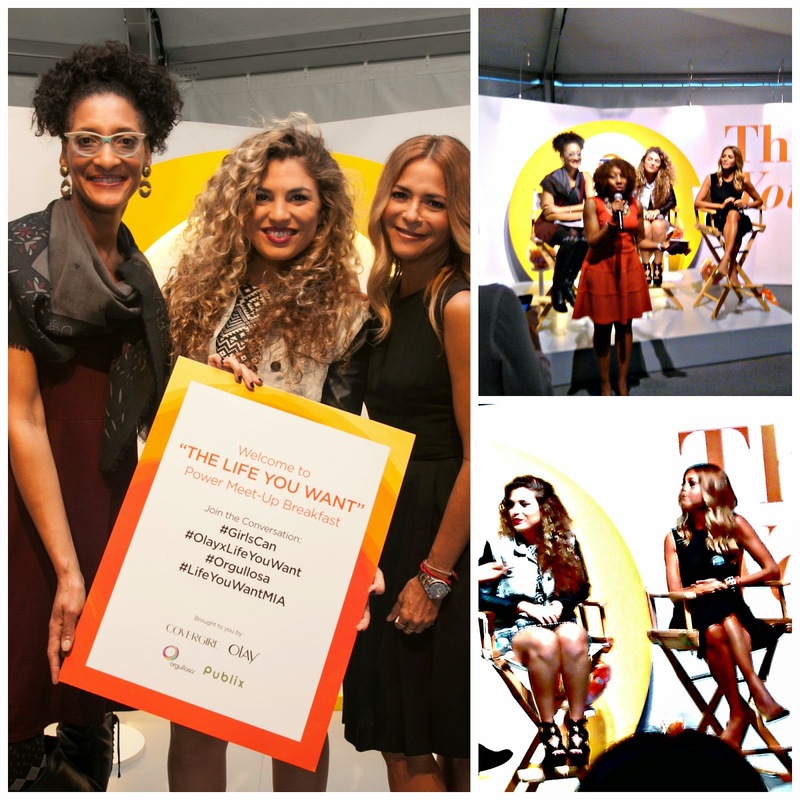 Carla Hall, TV host on ABC "The Chew"
Jessi Leon, Latin GRAMMY nominee for "Best New Artist"
"TV Host and Chef Carla Hall, Singer Jessi Leon and Celebrity Fashion Stylist Irma Martinez participated in a Power Meet-Up of influential women, hosted by COVERGIRL, Olay, Orgullosa and Publix, at "Oprah's "The Life You Want" Weekend" in Miami, Oct. 24, 2014. In panel discussion format, the women explored the topic of living one's best life, while sharing words of encouragement, empowerment." "Clean up the mess and be happy- Do What You Love." Babushka's in total agreement & enjoyed their messages. You know what else BB enjoyed? "Guests will also be treated to unique beauty brand makeovers, expert demos, and skincare consultations from Olay and COVERGIRL. Tide, Charmin and Crest will also provide attendees with mini styling presentations, an inspirational photo experience, a live wall art project and expert demos.These specialty brand experiences are designed to help inspire Miami residents to not be hesitant to take the necessary steps to renew and reinvent themselves." Pero sabes que mas was unbelievable? 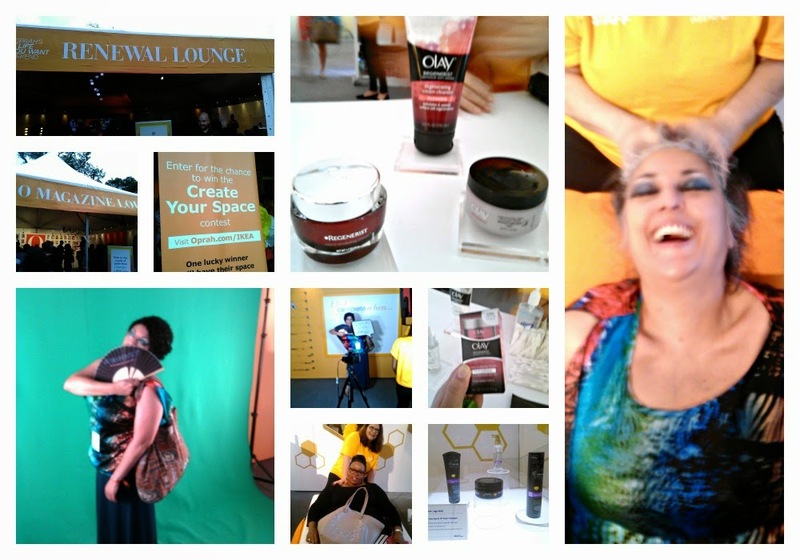 Sweetie & BB were invited to the VIP Suite to see Oprah! The Suite, the Swag, the Smorgasbord!!! 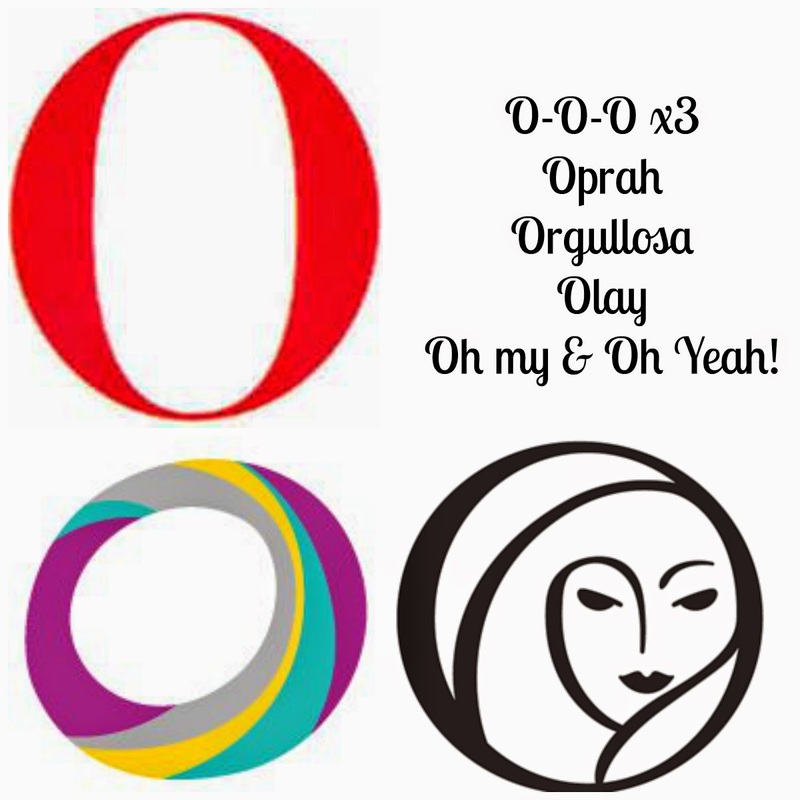 *WHY: With The Oprah Life You Want Tour and COVERGIRL, aim to empower women in Miami with the tools they need to be their best selves, empowering them to discover the potential hidden inside and summon the courage to overcome obstacles, so they can more easily live the life they want every day. Gracias Orgullosa por the invite y el hospitality. a gentle note of validation is always nice. BB will share more of Oprah's #LifeYouWantMIA weekend in Part 2.